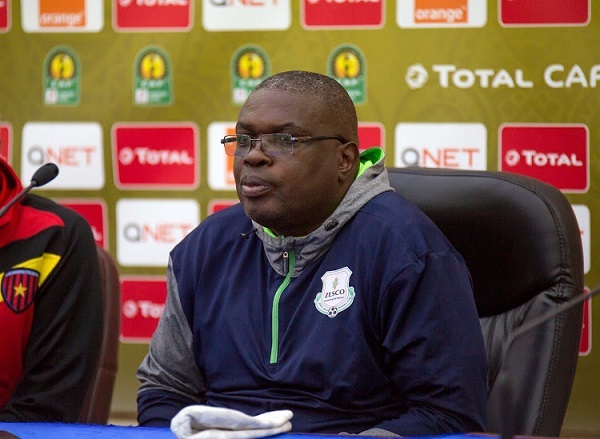 Zesco United Head Coach George Lwandamina was left unconvinced about the performance of Kumasi Asante Kotoko yesterday, despite losing to them by two goals to one in the CAF Confederations Cup. The Porcupine Warriors reigned supreme in a crucial match which could have jeopardized their chances of progression in the competition if they had lost. A determined CK Akonnor’s side beat the Zambian giants at the Baba Yara Sports stadium to open up Group C.
Despite amassing all three points on the day, Coach Lwandamina in his post-match interview indicated that this is not the Kotoko they know and have heard of in Zambia. According to him, his side could have easily won the match if not for some mistakes they committed. “Are you telling me this is the Kotoko you used to watch when you were in time past? No. I know they have won the game but if we were lucky and scored the chances that we created we would have won the game away from home”. “And am sure it is with you that we played a very coordinated game. Yes we made silly mistakes at the back which they capitalized on but what else was in that game?”, Coach George Lwandamina shared. He continued “See this is just that second game and we have a lot of games we have to go by. We have played two and remaining with four am sure if mathematics serves me right. Yes we have three three three, if the league was to end today am sure Zesco would have been top”. In the next round of matches, Zesco United will host Al Hilal Omdurman with Kotoko also expected to play as guest to Nkana Red Devils.